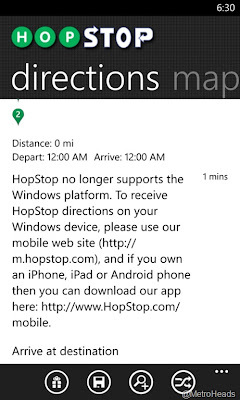 Apple has purchased HopStop (www.hopstop.com), the online city transit guide and has appeared to immediately halted Windows Phone support. Windows Phone consumers have spotted HopStop missing on the store, which can only be tied to Apple's acquisition. This shouldn't come across as much of a surprise to anyone. If you've been a fan of the app, unfortunately it's no longer published and consumers are being informed to use the mobile web version. This is a real shame, especially since the app has been on Windows Phone since the first generation. 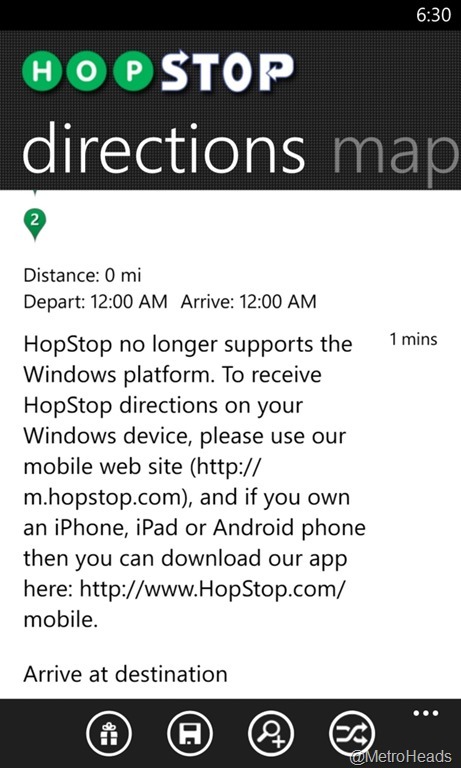 HopStop has also removed any mention of Windows Phone from the website. You can either work with their mobile web version, or seek alternatives.